RICE LAKE, WI (August 24) – It was Season Championship night Saturday at Rice Lake Speedway with the drivers lined up based on points earned during the racing season, and when all was said and done, the five drivers sharing victory lane were Mike Anderson, Jason Forehand, Ryan Viltz, Jimmy Randall and Jason Havel. While it was Season Championship night, the drivers will all have one more chance to visit victory lane when the season wraps up next Saturday and Sunday with the Labor Day weekend special. There were no huge upsets Saturday as drivers who had run well at the speedway all season did so again on Saturday. In the Modified division, Anderson got the jump on Kevin Adams to take the early lead and he controlled the entire twenty lap main event. As Adams struggled to stay with Anderson, Mike pulled out to a six car length lead while Adams was being challenged heavily by Dave Baxter for second. Their battle continued as Anderson pulled away from the field. A lone yellow at the midpoint of the race bunched the field, and this time Adams was able to stay with Anderson better, challenging on the inside for the lead right after the race restarted. However, Anderson fought off Adams and then opened up a two car length lead again as Baxter now found himself battling for third with Paul Brust. The rest of the race wrapped up with Anderson continuing to maintain his advantage as he drove on for his third feature win at Rice Lake in 2013. Brust eventually got past Baxter for third with Mark Hessler completing the top five. The biggest heart break of the night had to go to Eric Olson who was solidly in first in the Super Stock feature when he lost the steering on his car at the halfway point of the race, barely missing the wall but ending his night nevertheless. Olson had gotten the jump on Shane Kisling to take the early lead, with Kisling then fading back as both Forehand and Aaron Wilson drove past him for position. Olson was being challenged closely by Forehand for the lead, but Eric continued to hold the top spot until coming down the front chute the car suddenly veered toward the first turn wall, with Olson sliding to a halt just before making a heavy impact. Forehand inherited the lead and it was Wilson’s turn to pressure him as Aaron tried both high and low, getting to the rear quarter panel of Forehand’s car but just not being able to complete the pass. Aaron went for broke coming off turn four, but when he slid out and nearly clipped the wall, that gave Forehand the cushion he needed drive home for his second win of the year here. Scott Zitelman had his best run of the year to take the third spot, with Bart Steffen and Kisling next in line. Viltz was the only Point Champion to also win a Season Championship race as he controlled the Midwest Modified feature event from start to finish. After two aborted starts, the race finally began with Viltz getting the jump on Shane Halopka for the early lead. Halopka pressured Viltz early but Ryan was making some strong laps and started to put distance on the field. Meanwhile, Tito Viltz picked up the pace and he drove under Halopka to initiate a good battle for second. They swapped the spot a couple of times with Halopka in front in turn four, only to slide out and allow Tito to drive under him and take over second. A yellow at the midpoint of the race bunched the field, but Ryan Viltz again pulled away in front. The battle for second continued but Tito continued his strong run as he fought off every challenge to finish second behind his brother, who earned his second Rice Lake win of the year. A disappointed Halopka settled for third with Josh Smith and Travis Anderson trailing. The Street Stock feature presented the closest battle for a win along with the biggest crash of perhaps the entire racing season. With eighteen cars taking the green flag for the race, the action was tight in the early going. Sam Fankhauser and Jimmy Randall battled as the race started, but before a lap could be completed, second row starter Kolby Kiehl got sideways on the front chute in heavy traffic, got tapped and he rolled onto his roof right in front of the flying pack. He was impacted hard by another car as he was inverted with several other cars crashing either into him or each other as they tried to avoid the mayhem. Fortunately, while Kiehl was a little shook up, he was uninjured although the same couldn’t be said for his car. All told, along with Kiehl, the cars of Troy Chaplin, Jason Bearden, Cooper Berlin and Simon Wahlstrom were all eliminated with significant front end damage. In all, it took three attempts to get the first lap of the race completed, but when everyone settled down and started racing, a great battle broke out between Randall and Fankhauser. Randall had gotten the jump on the high side and he continued to run higher on the track while Fankhauser tried on every lap to duck under Randall for the lead. Also in a big battle for third were Doug Wojcik and Eric Olson with Wojcik finally claiming that position and setting out after the leaders. Unfortunately, Doug pushed a little too hard in turn four and spun out, triggering another yellow flag. Randall and Fankhauser continued their battle for the lead, with Sam continuing to look under Randall. In almost every corner, Fankhauser would get the nose of his car under Randall’s , but Jimmy would always get the edge as they accelerated off the corner. As the laps ran down, the battle remained unchanged. Fankhauser gave it his best effort off the final corner, but again Randall accelerated to beat him by a car length at the finish. Olson finished a strong third as he held off Ron Hanestad and Adam Soltis for position. It was Randall’s second win of the year here. Havel continued his strong season with yet another Pure Stock feature win. He started on the pole and fought off John Erickson in the early going for the lead. C. J. Wagner was on the move and he drove past Erickson for second with Darwin Brown also moving up quickly from the third row. Brown was going for second when he unfortunately made contact with Wagner, who spun triggering a yellow. Havel continued to lead on the restart with Erickson reclaiming second. Another yellow slowed the action and Wagner had to pit for a fresh tire. Havel would lead on the green with Erickson trying to stay with him. Jay Folz used this opportunity to move into third and challenge Erickson. The last half of the race saw the leaders remain equally spaced from each other, with Havel claiming his fourth overall win at Rice Lake in 2013. Erickson finished a strong second ahead of Folz with rookie Rob Grabon home fourth ahead of Jimmy Holden. 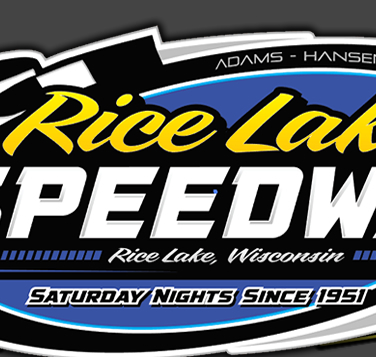 The 2013 race season will conclude at Rice Lake Speedway next weekend. On Saturday, August 31, qualifying heats will be held for the WISSOTA Modifieds, Super Stocks, Midwest Modifieds and Street Stocks. Along with this a full program will be held for the Pure Stocks and Hornets. For the Pures, it will be their highest paying event ever at Rice Lake with the feature winner guaranteed $700 while the Hornets, making their first ever start at Rice Lake, will race for a $500 top prize. 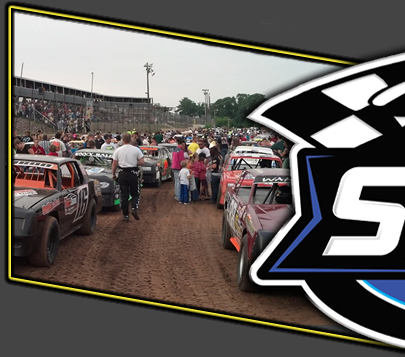 On Sunday, September 1, last chance qualifying and the four main events for the WISSOTA classes will be held along with another full program for the Pure Stocks. 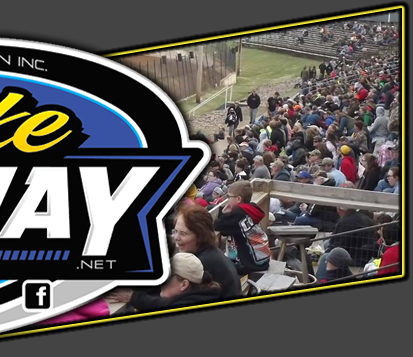 The pit gate opens at 4 p.m. both days with racing scheduled to begin at 7 p.m.
For more information, pick up the phone and call Dave Adams at (715) 205-2861.